Having to battle some personnel concerns, FC Bayern München's players and coach were particularly satisfied with their 2-0 victory over Hertha Berlin on Saturday afternoon. 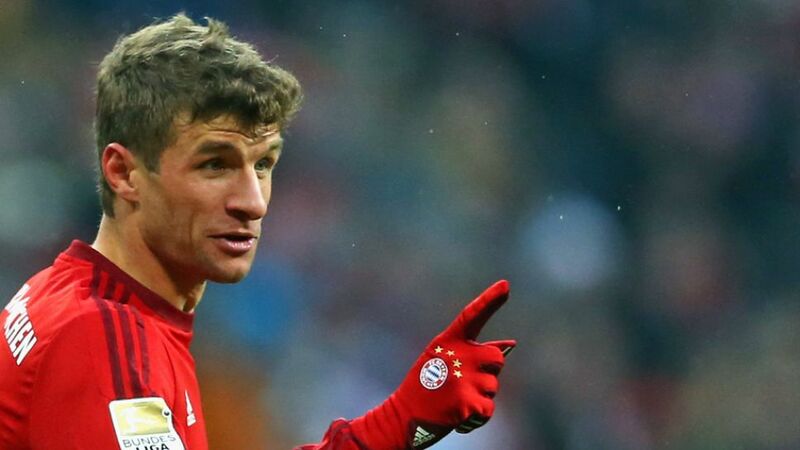 Thomas Müller (FC Bayern forward): “Against Hertha, you can never be sure when it’s 0-0, as they’re a good side defensively. But scoring two goals quickly gave me a good feeling." Philipp Lahm (FC Bayern defender): “We had some problems before the game because of the amount of injures we have, especially to players that you need in order to find the spaces against a defensive side. So it was a tough game today, but we did a very good job. Our passing game was good and we kept their counter-attacks in check. Manuel Neuer (FC Bayern goalkeeper): "We played against a side that set up a bit like a handball team. It was a tough game, but it was great for us that we scored twice in the first half. In the second half it was hard as well, as Hertha didn’t really come out." Pal Dardai (Hertha coach): “The better team won, but we have nothing to be ashamed of. Our attitude and commitment were exemplary. We conceded two unnecessary goals when we went to sleep at the back. After going 2-0 down, it was very difficult. They controlled and dominated the game and were much better."